Transcendence (for string quartet) is a work that explores popular music idioms ‘translated’ and adapted for the sonic and structural complexity of the classical string quartet. The first movement, Hold On, features a cyclical, repetitive chord progression. This form is known as a chaconne in classical music and is also the foundation of most popular music. The second movement, Let Go, begins in a slightly rigid manner but quickly unravels into a carefree pop tune. 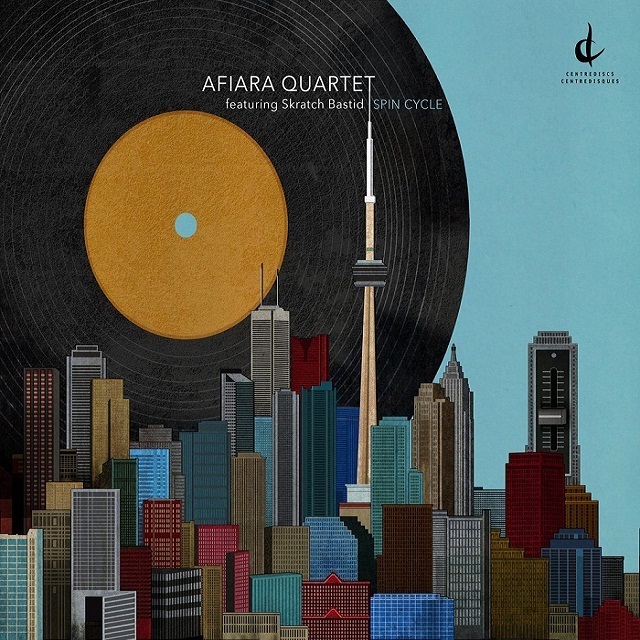 Transcendence was composed for the Afiara String Quartet and is featured on their 2015 Centrediscs CD “Spin Cycle”, which also includes DJ remixes by Skratch Bastid. Dirty Laundry – Heavy Load is for string quartet and DJ. It is the third stage of the collaborative project with the Afiara String Quartet and DJ Skratch Bastid. It features Skratch Bastid’s DJ remix of my acoustic string quartet Transcendence with new music that I composed for the quartet to perform with the DJ.